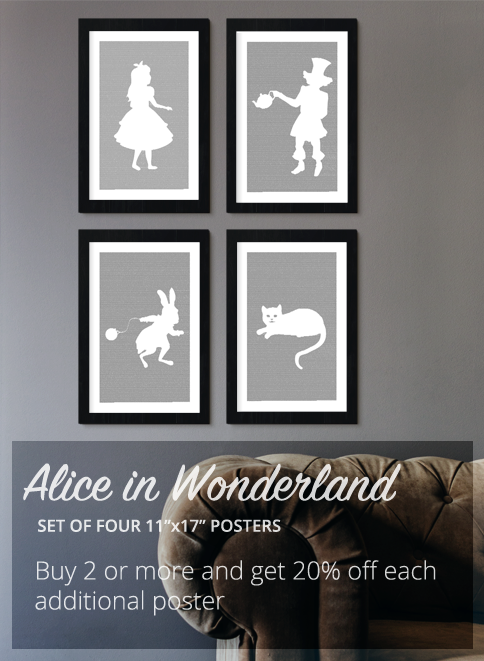 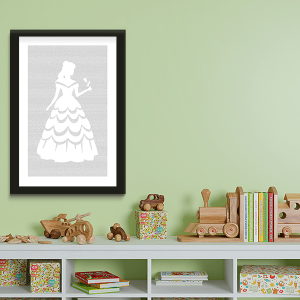 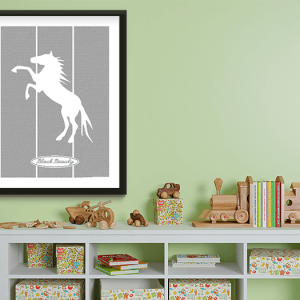 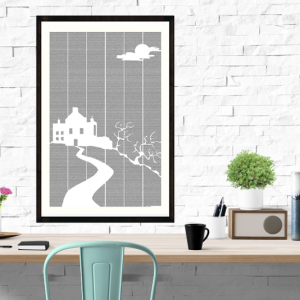 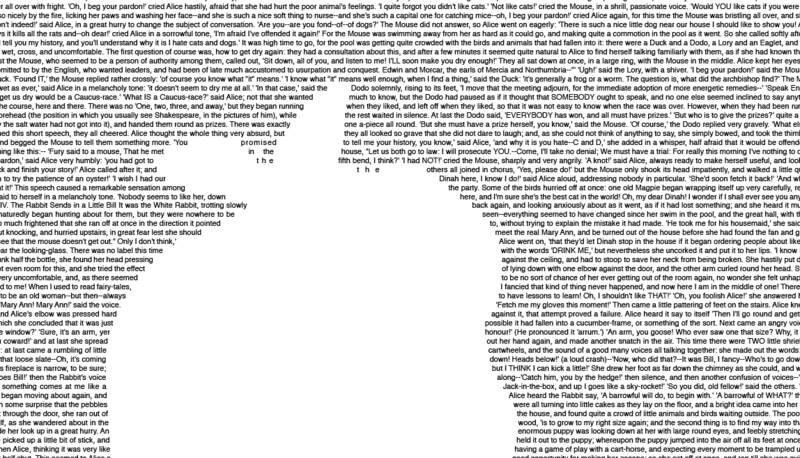 This 11″x17″ book poster contains a silhouette of Alice in front of the full text of Alice’s Adventures in Wonderland by Lewis Carroll. 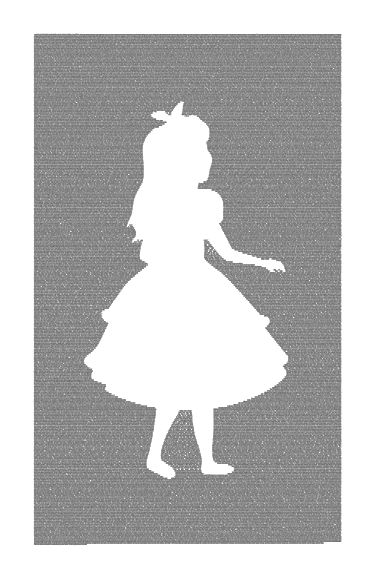 Alice’s Adventures in Wonderland is a fantasy children’s novel. 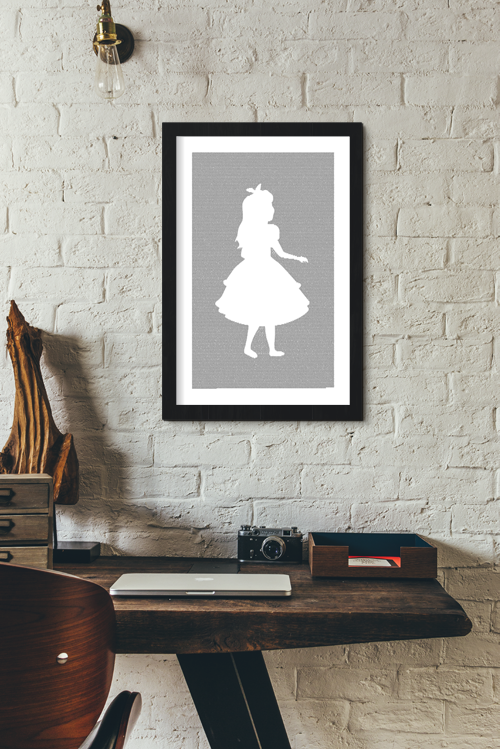 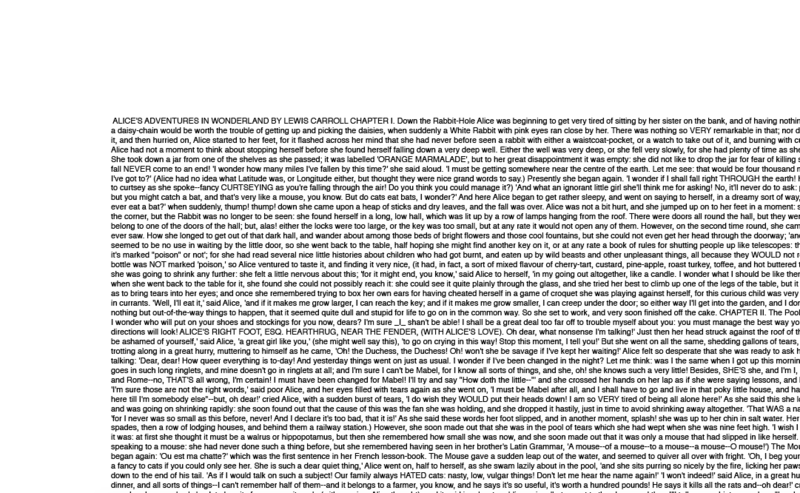 Written by mathematician Charles Dodgson under the pseudonym Lewis Carroll, the book centers around young Alice as she follows a talking rabbit down a rabbit hole to a fantasy land of increasingly ridiculous situations.